Home » Which Instant Pot is Right for you? 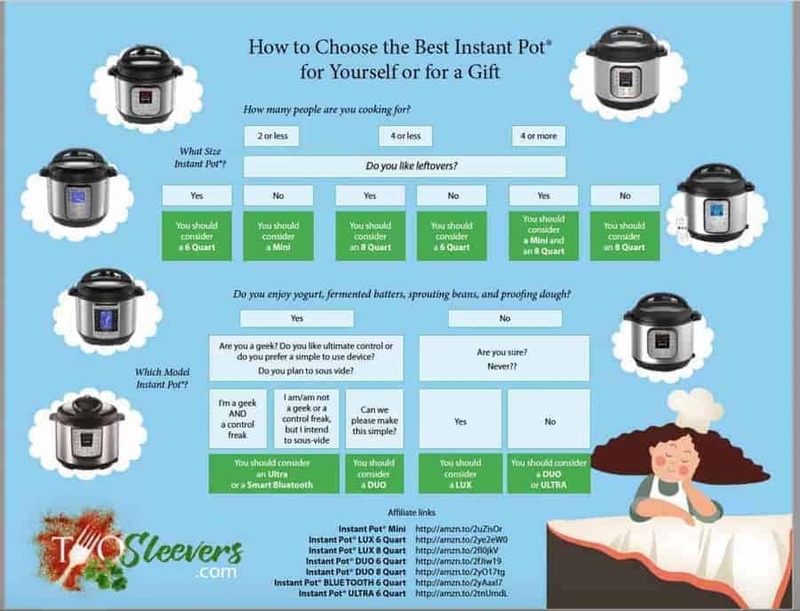 So many models, so many sizes, so much lovely choice, how do you know which Instant Pot is right for you? Whether you go with the LUX, the DUO or the Ultra, the Mini, the 6 quart or the 8 quart depends on how you plan to cook, and for how many people you cook, and whether or not you like leftovers. I also have an unbiased review of the Instant Pot Mini here, that tells you how much it will hold, how it works, how big it is, etc. and that might help in deciding if the Instant Pot Mini is right for you. I just bought a Fagor 4qt Multicooker. Will your recipes work in that? Do I need to alter the quantities in a 4qt?